Experiencing a culture and not indulging in the beauty of its gastronomy, is the same as watching a movie in the cinema without having popcorns. Belgrade is a destination well known for fun, nightlife and good food. Generally, Serbian cuisine is characterised by highly diverse, solid and spicy food, which can be roughly described as a mixture of Greek, Turkish and Hungarian cuisine. 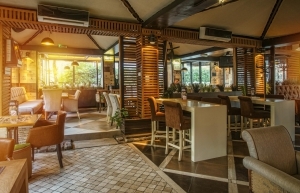 All of that, also including oriental and central European cuisine can be found in Belgrade. The use of meat, dough, vegetables and dairy products is predominant in it. For many of the Serbian national cuisine specialties there is not an equivalent word in English, nor is there a taste they can be compared to. Therefore, it is best that you come and taste them yourself. Moving thru the city will hardly make you hungry just if you know the four locations of the Monument Restaurants.